Located in Milwaukee’s Veterans Park, the Sailing Center boasts stunning views of Lake Michigan and the Milwaukee skyline, both night and day. 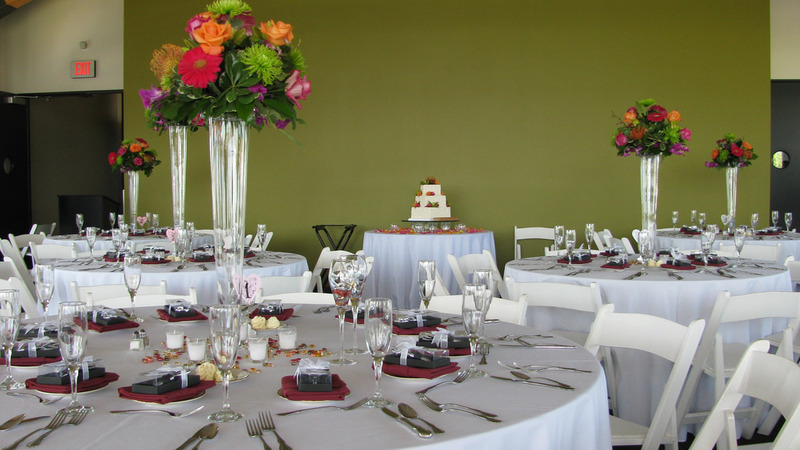 Host your next event with us! Our 8-session‚ two-week course makes learning safe‚ effective and fun. Most students earn a Light Air Rating upon completion of the basic course. Join the Sailing Center's Youth Sailing Program and sail Lake Michigan. Even if you’ve never sailed before‚ you can learn. Membership is not required for youth class registration. 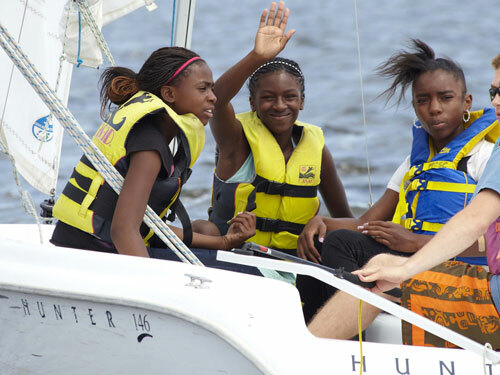 The Milwaukee Community Sailing Center offers introductory sailing classes for adults, youth, and children. For more experienced sailors, our courses include intermediate and advanced classes introducing different types of boats and equipment such as spinnakers. 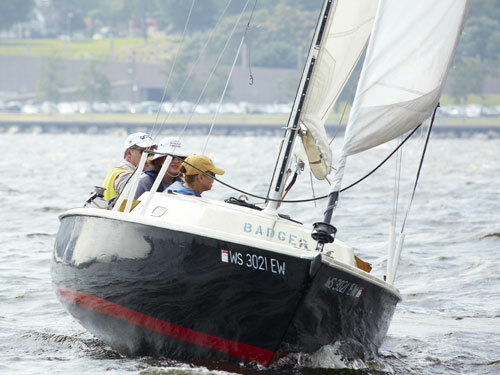 The Milwaukee Community Sailing Center owns and maintains over 60 boats and members have no-charge access to the fleet after they successfully demonstrate basic sailing skills and earn a rating. The Sailing Center also offers private boat owners boat and dinghy storage, mast stepping, launching and haul-out services. 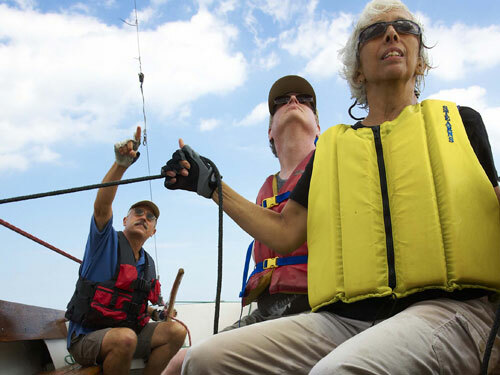 The Milwaukee Community Sailing Center collaborates with area nonprofit social service agencies (Boys and Girls Club, Neighborhood House, YMCA, Milwaukee County Executive Office for Persons with Disabilities, etc.) to provide inner city and other disadvantaged at-risk children and youth with the opportunity to use the lessons of sailing to impact their futures. Using sailing as a tool, these students develop basic living skills such as decision-making, teamwork, critical thinking and on-the-spot-problem-solving in a natural setting, to sail help build self-esteem and self-confidence. Students also learn about water safety; how wind and weather affects sailing skills and, of course, also develop a sincere appreciation for Lake Michigan. With its beautiful lakefront setting, the Milwaukee Community Sailing Center offers the perfect venue for your next event. Whether you're looking to host your next corporate event, or are looking for an unforgettable setting for your wedding, we offer a spacious upstairs venue with beautiful views on three sides, as well as outdoor space for open air or tented events. Copyright © 2006-2019, SailingCenter.org, All rights reserved.